The Public Health Agency of Barcelona (ASPB) is the public health provider responsible for public health in Barcelona, with an annual budget of about €26 M and 320 people employed. Some of the main tasks of the ASPB are monitoring population health status and determinants, developing, implementing and evaluating public health policies and programs as well as acting as health authority. It also has a large experience in research, with more than 90 articles published yearly in indexed scientific journals, and more than 40 active research projects. Furthermore, the ASPB is a collaborative centre of the Autonomous University of Barcelona and Pompeu Fabra University (Barcelona), running part of the Master in Public Health program. In addition, the ASPB has since 1985 a collaboration agreement with Johns Hopkins University (Baltimore, USA), which enables collaboration on research projects and training between the two centres. Maria Jose López Medina, has a PhD in Public Health and Methodology of Biomedical Research and a degree in Environmental Sciences. She is currently a senior researcher at the Evaluation and Intervention Methods Service of the Public Health Agency of Barcelona. She is also the Head of the research group of Evaluation of Public Health Programs and Policies from the Biomedical Research Centre Network for Epidemiology and Public Health (CIBERESP) as well as the head of the Evaluation of Public Health Programs and Policies research group from the Agency for Management of University and Research Grants (AGAUR). She has coordinated different national and international projects related with tobacco control. Secondhand smoke exposure assessment is one of her main areas of research, with more than 70 scientific papers published. She is also teacher of “Evaluation of Public Health programs and policies” at the Master of Public Health of the University Pompeu Fabra, and associated editor of the Spanish scientific journal Gaceta Sanitaria. Xavier Continente, BSc Pharmacy degree, MPH, PhD, is a researcher at the Evaluation and Intervention Methods Service of the Public Health Agency, Barcelona. He is member of the Biomedical Research Centre Network for Epidemiology and Public Health (CIBERESP), the Evaluation of Public Health Programs and Policies research group from the Agency for Management of University and Research Grants (AGAUR) and the Biomedical Research Institute Sant Pau (IIB Sant Pau). His research work has been mainly focused on health risk factors in adolescents and has also been involved in national and international projects related to second-hand smoke exposure assessment. Teresa Arechavala, Bsc in Biology and MPH, is a predoctoral researcher in the Evaluation and Intervention Methods Service of the Public Health Agency of Barcelona, and the Biomedical Research Centre Network for Epidemiology and Public Health (CIBERESP). Her previous work was focused on children obesity and eating habits, and currently, she is conducting her PhD research on second-hand smoke exposure in children. 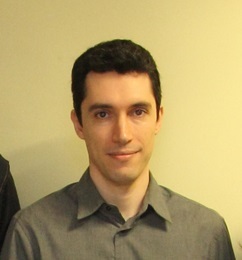 Gabriel León, Bsc in Economics, is project manager and project assistant at ASPB. 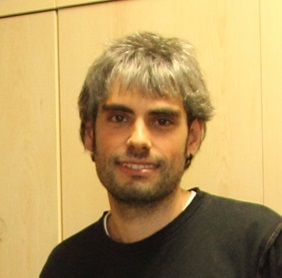 Gabriel has previous experience in a number of EC-funded projects (EC FP7, SAMCO-CHAFEA) and has been managing financial aspects of research activities related to public health at national and local level for the last 14 years (Spanish Public Research Entity, National Plan on Drugs, Catalan Agency for Management of University and Research Grants). 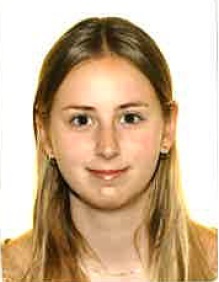 Elisabet Henderson, BSc Human Biology (2016) and MPH (2018) from the Universitat Pompeu Fabra, is a pre-doctoral researcher at the Evaluation and Intervention Methods Service of the Public Health Agency of Barcelona, and the Biomedical Research Centre network for Epidemiology and Public Health (CIBERESP). Elisabet has conducted research on the effects of traffic-related air pollution (TRAP) exposure and is currently researching secondhand tobacco smoke exposures in outdoor settings in Europe.